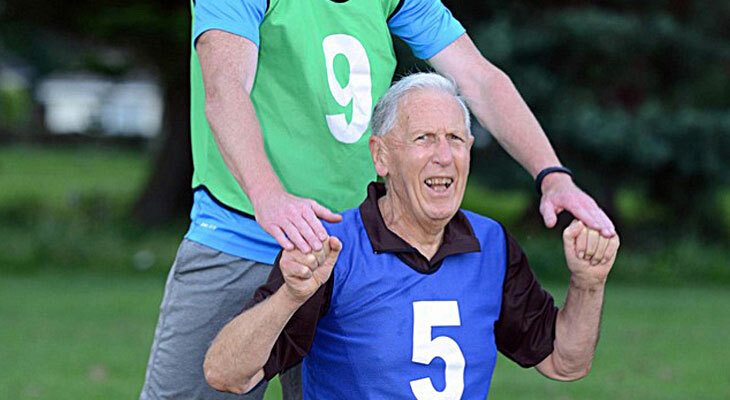 With National Grandparents Day coming up on 3rd October, British Military Fitness (BMF) has revealed the areas in the UK with the most fighting fit older people, with Dulwich topping the list with 65% of its members over 60. BMF is celebrating the nation’s ‘Senior Fitizens’ by inviting grandparents along to join in a free session over the weekend of 3rd / 4th October. With the government recently warning the older generation that a lack of exercise is a “hidden killer”, contributing to one in six deaths in Britain, military fitness provider, BMF, is bucking the trend, reporting that one in 20 (5%) of its members are over 60, with some even in their 80’s. Of its approximately 15,000 members across the UK, 13% are over 50 and 5% are over 60, with Dulwich topping the list with 65% of its members over 60 due to their popular walking club. And the number of Senior Fitizens is on the rise, showing the demand for new and accessible forms of exercise for the older generation.